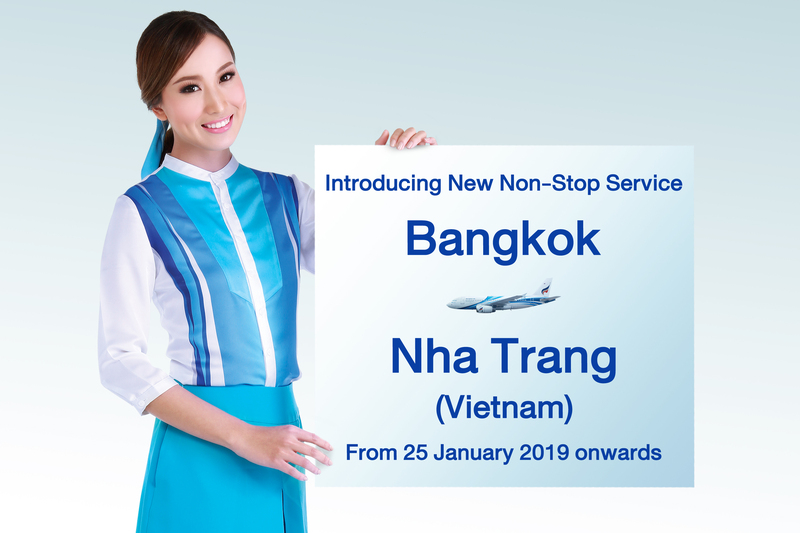 Bangkok / 28 November 2018 (Today) - Bangkok Airways Public Company Limited announces its new service linking Bangkok and Nha Trang, Vietnam. The airline will offer four flights a week (Monday, Wednesday Friday and Sunday) with a 144-seater Airbus A319 aircraft, starting from 25 January 2019. The airline will offer four flights a week (Monday, Wednesday Friday and Sunday) with a 144-seater Airbus A319 aircraft, starting from 25 January 2019. The outbound flight PG993 will depart Bangkok (Suvarnabhumi) at 10.20hrs and arrive Cam Rahn (Nha Trang) International Airport at 12.05hrs. The inbound flight PG994 will depart Cam Rahn (Nha Trang) Airport at 12.55hrs and arrive Bangkok (Suvarnabhumi) at 14.40hrs. 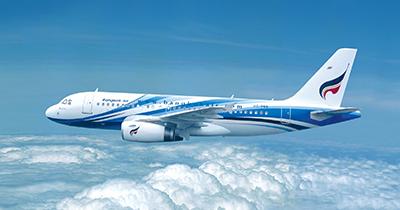 Currently, Bangkok Airways is offering a special all-inclusive round-trip fare for Bangkok-Nha Trang starting from just 5,915 Baht. To take advantage of this offer, passengers can contact Bangkok Airways Call Center at 1771 (24hrs) or visit www.bangkokair.com for more information. All passengers of Bangkok Airways can enjoy a boutique lounge at Suvarnabhumi where passengers can treat themselves to a multitude of free snacks and various choices of hot or cold drinks, free Wi-Fi Internet access. There's also a kid's corner located within the lounge area that will satisfy the needs of young children. For Bangkok Airways' business class - the Blue Ribbon Club or for any passengers with FlyerBonus Premier Membership can enjoy extra treats at the Blue Ribbon Club Lounge that offers more services such as hot meals, a personal shower room, a massage parlor, as well as a nice and quiet personal library room, which can also be used as a personal meeting room.